It is not time to panic. Even if you lost your season-opening matchup by double-digit points, it is too early to start tearing apart your roster. This does not apply to those who drafted Le'Veon Bell with the first, second or third pick in the draft. Bell continues his holdout from the Pittsburgh Steelers with the hope of getting a new contract, and while it could end at any time, there are no indications that either side is willing to compromise any time soon. But while there may not be any reason to panic, it may be worth fine-tuning your roster and grabbing an upgrade. With that in mind, we look at the players who have matchups we love in Week 2. Here's a look at the schedule, followed by the top 10 at each fantasy position. The rankings guide is based on scoring in Yahoo standard leagues. Drew Brees has a favorable matchup against the Cleveland Browns, and after the New Orleans Saints' shocking home loss to the Tampa Bay Buccaneers in Week 1, the quarterback and his teammates must come through with a winning performance. Brees excels at reading opposing defenses, and the first thing he has to look out for is the presence of defensive end Myles Garrett, who is capable of taking over. However, the Browns don't give Garrett a lot of help, and that's not likely to change no matter how much defensive coordinator Gregg Williams yells at his players. 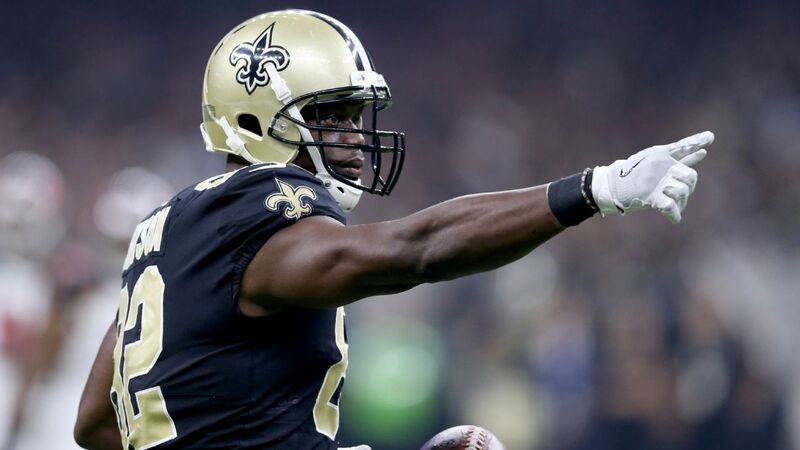 The lack of big-time defensive talent will give Brees the opportunity to find star wide receiver Michael Thomas on a regular basis. Brees will also spread the ball around, and the Browns may not be able to slow him down. Brees is not the only star quarterback coming off a loss. Philip Rivers and the Los Angeles Chargers lost to the Kansas City Chiefs in Week 1, and that loss should ensure that Los Angeles will not take the Buffalo Bills lightly. Rivers has a brilliant receiver in Keenan Allen and a productive running game with Melvin Gordon. The Chargers' quarterback should have a big game. It's difficult to slow down the Los Angeles Rams, and one of the biggest reasons is running back Todd Gurley. Since Bell is holding out, Gurley may be the best running back in football. While there was some hesitation in his game during the 2016 season, he turned things around last year, and his Week 1 performance against the Oakland Raiders was stellar. Gurley is a big-time finisher once he gets to the next level. He cannot be arm tackled and any defender that doesn't put a major shot on him will not be able to bring Gurley down. The Rams running back ran for 108 yards against the Raiders and he averaged 5.4 yards per carry. Gurley will be on top of his game in the home opener against the Arizona Cardinals. At one point or another, Antonio Brown will stop making spectacular, highlight-reel catches and the Pittsburgh Steelers will be in big trouble. However, that's not going to be the case this year or next. Brown is just getting warmed up for the 2018 season, and once he finds his stride, there may be no stopping him. Brown caught nine passes for 93 yards and a touchdown against the Cleveland Browns, and he was the team's No. 2 receiver behind JuJu Smith-Schuster. That's not likely to happen too many times this year. Brown should have an explosive game against the yielding Kansas City defense. Allen is Rivers' partner in crime with the Chargers, and the explosive wideout is not going to slow down against the Bills. Buffalo lacks the firepower to compete for more than one half in this game. This could turn out to be the most explosive and productive year of Rob Gronkowski's career. There is no doubt about his ability to impact any game, but his numbers figure to be impressive this season because the Patriots are lacking in big-play receivers. Nothing against Chris Hogan or Phillip Dorsett, but neither one is a star. Tom Brady is obviously comfortable throwing to the big tight end, and he should dominate most weeks as long as he stays healthy. Gronkowski caught seven of eight targets in the Patriots' Week 1 victory over the Houston Texans for 123 yards and a touchdown. The strong defense of the Jaguars means Brady is not going to take a chance on any receiver whom he doesn't have full confidence in. Expect Gronkowski to go over 100 yards again. Travis Kelce is nearly as good as Gronkowski, and the Chiefs know that he can deliver big plays on a regular basis. The Chiefs will play an angry Pittsburgh Steelers team on the road, and it will be up to Kelce to make the tough catches on third down that keep drives alive.